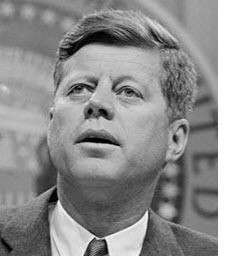 In his 1961 inaugural address, John F. Kennedy declared that “the torch has been passed to a new generation of Americans.” He was referring to the fact that a 43-year-old was replacing a 70-year-old in the White House, but his words were meant to resonate as well with even younger Americans who were just coming of age. Five decades after Kennedy’s death, what happened to those torchbearers? It turns out they vote somewhat more Republican than the general electorate. via JFK torchbearers now vote more Republican | Pew Research Center. With permission – Seth Motel is a Research Assistant at the Pew Research Center for the People & the Press.